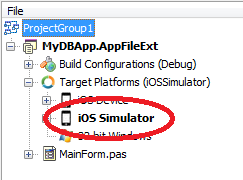 Half a year ago we published an article describing the process of iOS application development in Delphi XE2. We received quite a lot of positive feedback on that article, but the main thing is that the article helped many our users create their first applications for iPhone, iPad and iPod. Since then, been a long time – and the new RAD Studio XE4 first saw the light of day, in which the process of iOS application development greatly changed. But, fortunately, all the changes were oriented to make the development simple and easier to understand. 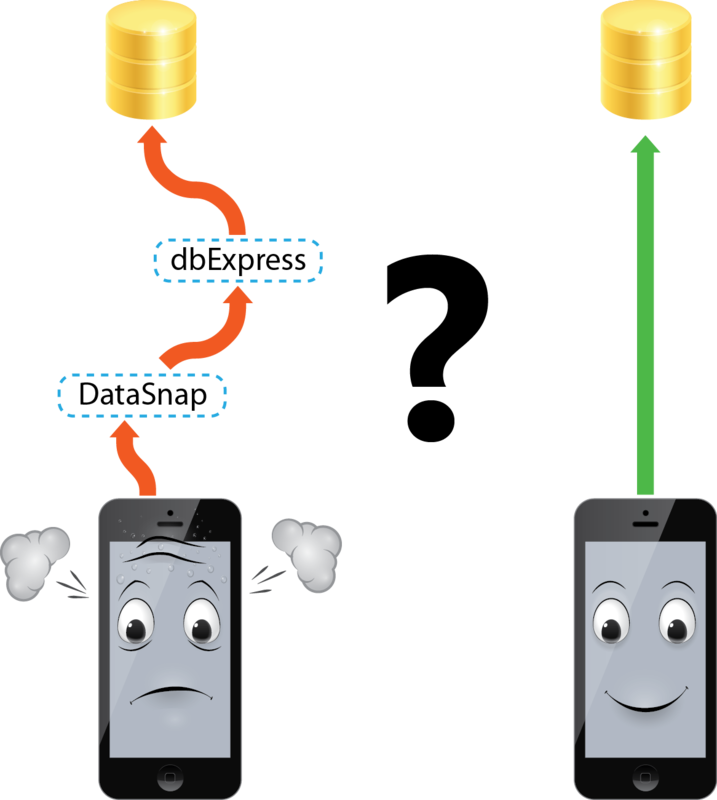 iOS development limitations are not for us! The matter is that iOS has a quite serious limitation on application deployment to iOS devices: you cannot deploy any libraries (*.dylib) along with your application. If you have developed applications for work with databases earlier, you should know that to work with any databases, you need either a client to be installed or a library allowing connection to a certain database. This can be a very serious brick wall when attempting to create a business-application that must work with databases on iOS. But the point is that Devart data access components allow working with the most popular databases without installing any client software and require no libraries. Therefore library (*.dylib) deployment restrictions don’t apply to applications developed with Devart data access components, since your application simply won’t require these libraries. When working with databases, we should choose the way we want to work with data: directly or using DataSnap. Description of work with a database using DataSnap can be easily found in the Using DAC products in multi-tier DB application development article, so we will look at the second method. 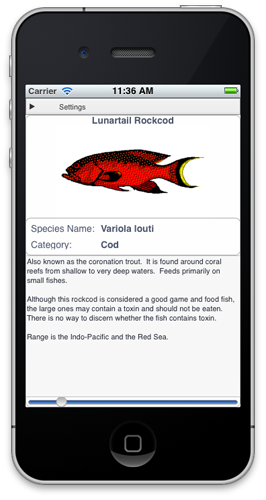 Today’s mobile platforms do not yet possess the hardware power, which modern computers have, so the main requirement for a mobile application remains low consumption of system resources. Proceeding from this, let’s consider creating an application, that will work with a database directly and show maximum performance on those resources, that they have available. At the stage of mobile application design and development, work with UniDAC looks exactly the same, as when developing a normal desktop application. Otherwise, we can create all necessary components in run-time. The very creation of components is pretty trivial, so let’s consider examples of how to initialize UniDAC connection for work in iOS. In addition, the server name must be generated correctly, since, if we have no client, we have no tnsnames.ora file with the server list as well. Therefore, to establish connection in iOS, we need to know the server Host and Port, as well as its SID or Service Name. In other words, the ‘sid=’ prefix of the third parameter indicates that connection is established via the SID, and the ‘sn=’ prefix indicates that connection is established via the Service Name. If no prefix is specified, then, by default, it is considered, that we want to establish connection via the SID. The majority of Oracle servers have the same SID and Service Name, so you, mostlikely, won’t have to go into such nuances. After this add our databases for SQLite and InterBase to the list of files, that must be deployed to an iOS device together with your application. Don’t forget to change the Remote Path default value “.” with the correct one “StartUpDocuments” for the added files. PAServer – nothing complicated here as well. In the folder, where you have installed RAD Studio XE4, there is a folder PAServer. 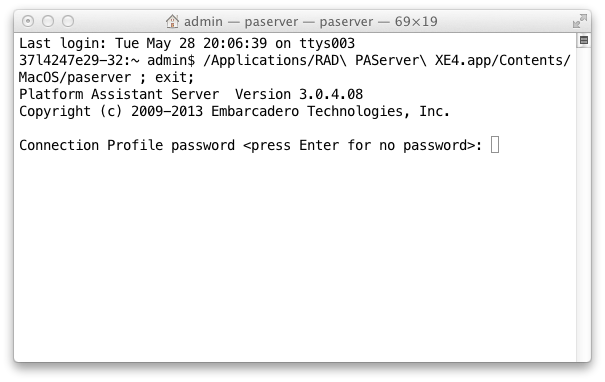 There is an package RADPAServerXE4.pkg in this folder, it’s the PAServer installer for Mac OS. Copy it to your Mac OS and run it. These are all the requirements for starting your application on the iOS Simulator. Now we can move directly to the application start. 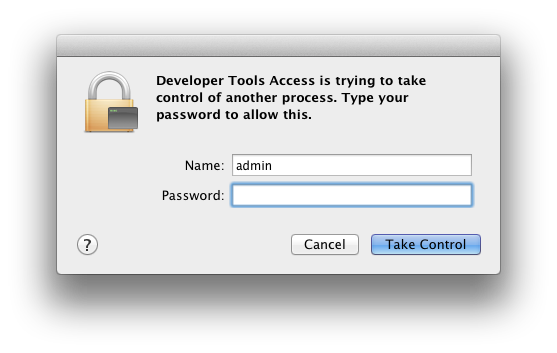 Enter the admin password. The Mac OS and PAServer preparation is now complete. 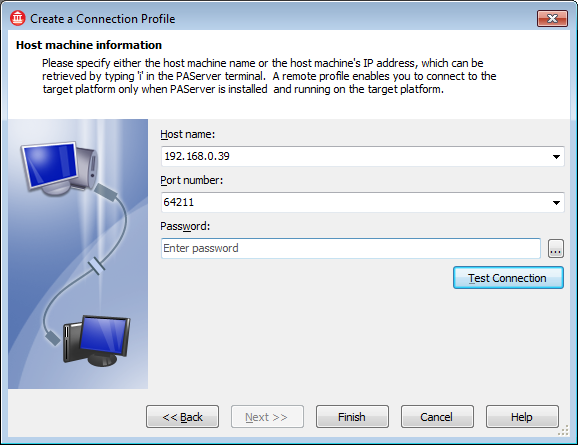 the password that you have specified when starting PAServer (if you have specified it). 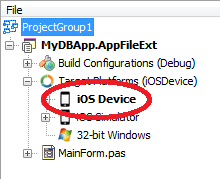 To run the application on a real iOS device, in addition to remote profile, an SDK version must be selected. 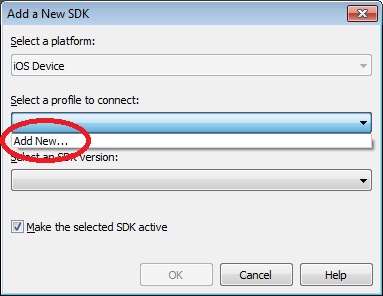 To select an SDK, a new remote profile must be created (since a remote profile for the iOS Simulator differs from a remote profile for a real device). 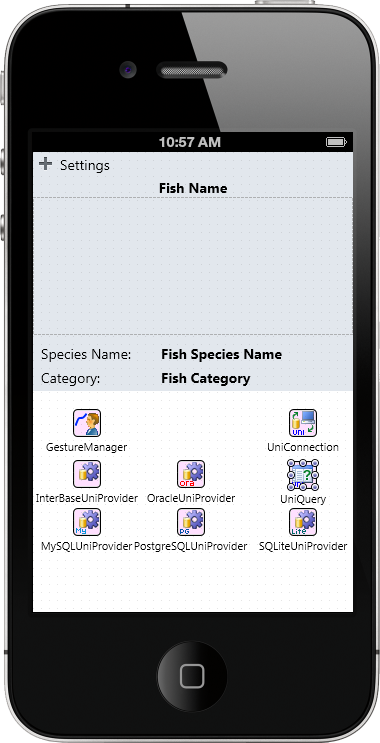 We have considered a sample of creating the simpliest database applications for iOS in Delphi XE4, which can establish connection to SQLite, Oracle, MySQL, PostgreSQL, and InterBase ToGo using UniDAC. 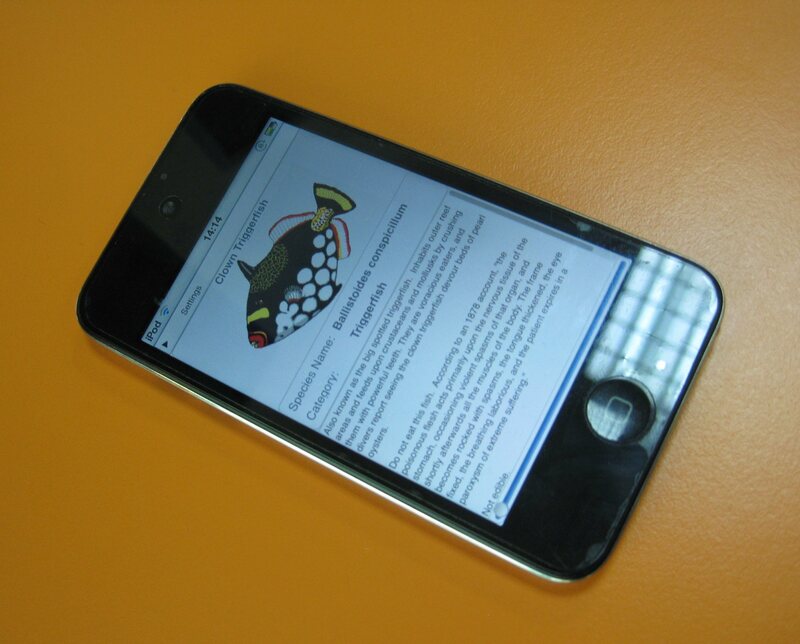 And we hope this article will help you make the first step towards creation of your own applications for iOS. I’ve been surfing online more than 4 hours today, yet I never found any interesting article like yours. It is pretty worth enough for me. Personally, if all webmasters and bloggers made good content as you did, the internet will be a lot more useful than ever before. Thank you for your kind words, Gayle. We are glad the article was useful for you. 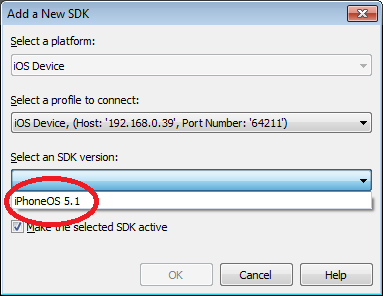 It seems the How to Develop Android Database Applications in RAD Studio XE5 article may be intersting for you as well. How to Develop Android Applications in Delphi XE5 Using Devart Data Access Components…??? We have revealed this topic in the “How to Develop Android Database Applications in RAD Studio XE5” article. Tem previsão do UniDAC funcionar no AppMethod nova plataforma da embarcadero ? The Edition with source code must work with it.